THIS morning I catch the 6.30am train from Askam-in-Furness to Barrow, jump on a connection to Lancaster, board an inter-city express to Penrith, and walk blinking into the daylight of a fine spring morning to embark on my second back-packing trip in the space of three weeks. I have Jim Callaghan to thank for this dollop of good fortune. Uncle Jim. I’ll tell you why later . . . 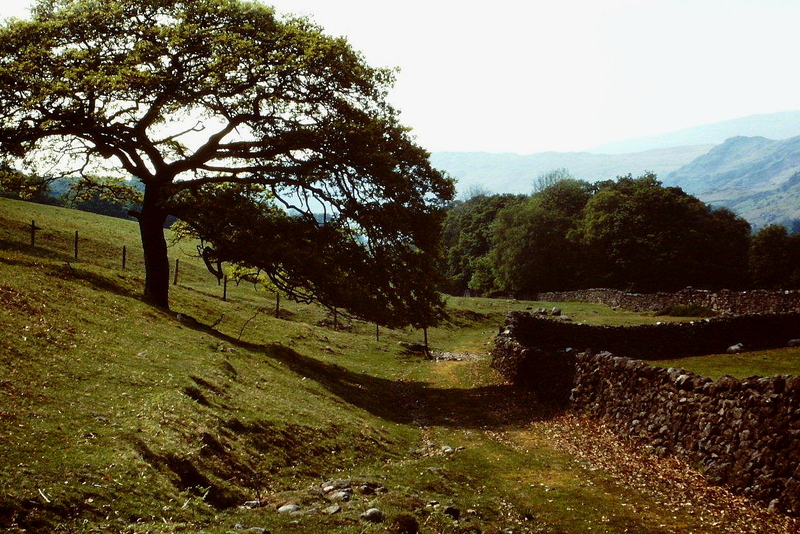 It is my intention to cross the Lake District National Park from Penrith, in the north-east, to Ravenglass, in the south-west. 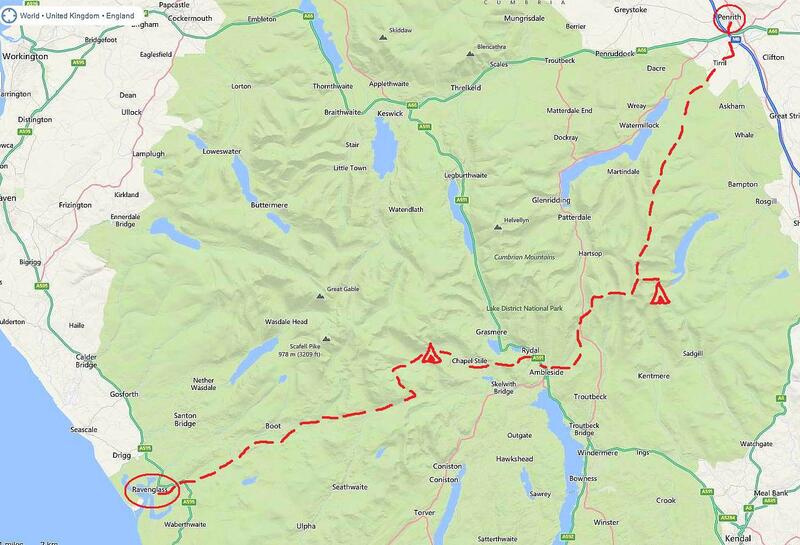 My meticulously-planned route stretches about 48 miles (77km) over mountains and through valleys. I have three days in which to complete the walk. It will be tough. I hit the road to Eamont Bridge, pause for breath amid the prehistoric earthworks of King Arthur’s Round Table and Mayburgh Henge, pace country lanes to Yanwath then take to the fells, heading in the direction of the High Street range. This is grand walking country – wide skies, rolling hills, distant blue mountains, a glittering Ullswater, and a hint of summer on the breeze. Hey, a couple of things to mention. This is 1978 and England’s on a different planet. Punk is in its prime and Boney M’s at No 1 with Rivers of Babylon. 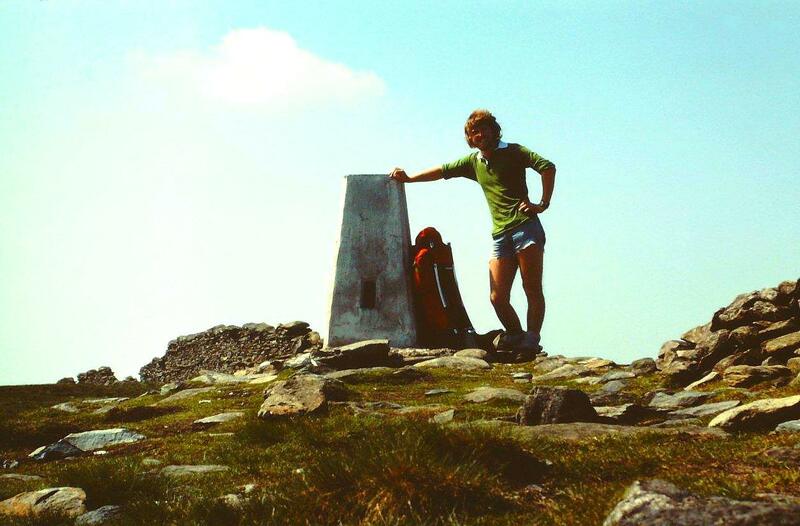 The weather is blisteringly glorious and everyone on the felltops is wearing very short cut-down jeans – with the exception of grumpy middle-aged blokes in corduroy and a few tourists sporting the smart-casual Jim Rockford look. Granted, there’s still some traditional tweed about and the occasional malcontent in Crimplene can be observed – but cut-down denim is pretty damn cool. And that’s official. 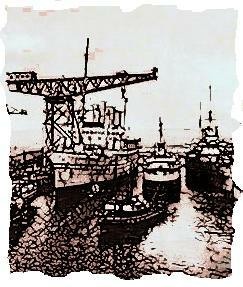 Loadpot Hill passes beneath the tread of my Famous Army and Navy Store boots. 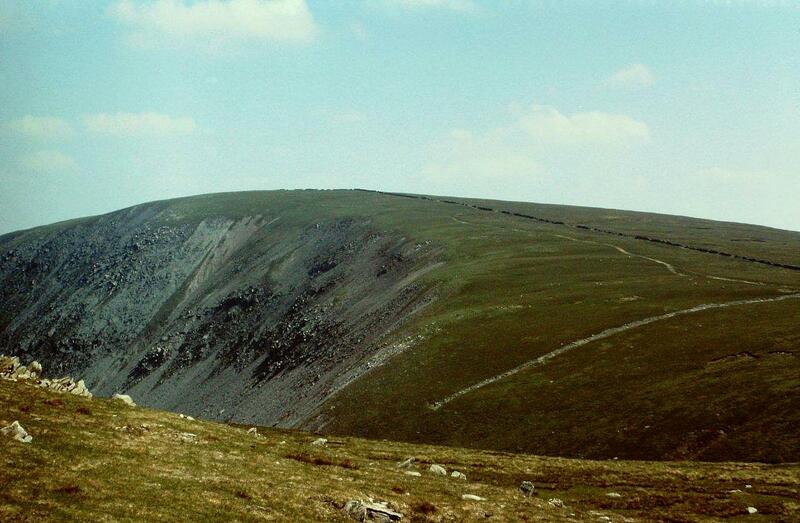 The course of a Roman road takes me over Wether Hill, Red Crag, Raven How, High Raise and Rampsgill Head. 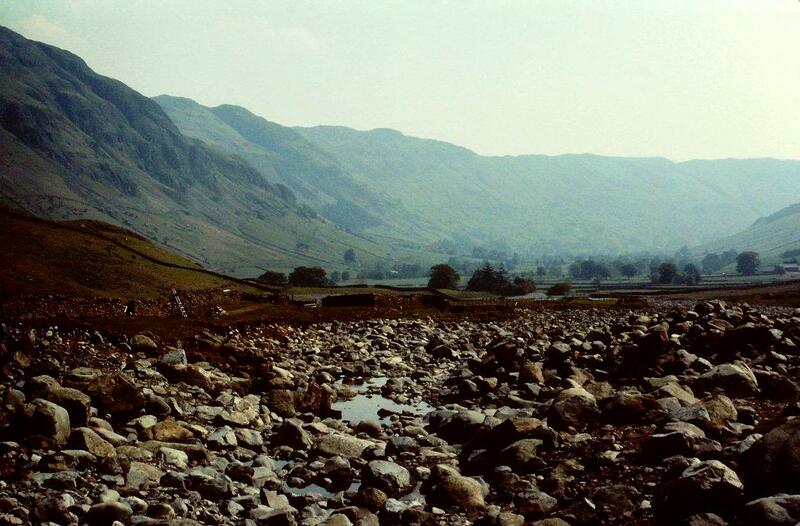 But in late afternoon, near the barren summit of High Street, I veer east and descend the slender rock spine of Riggindale Crag to the shores of Blea Water. The first day is drawing to a close and I need to prepare for the onset of night. 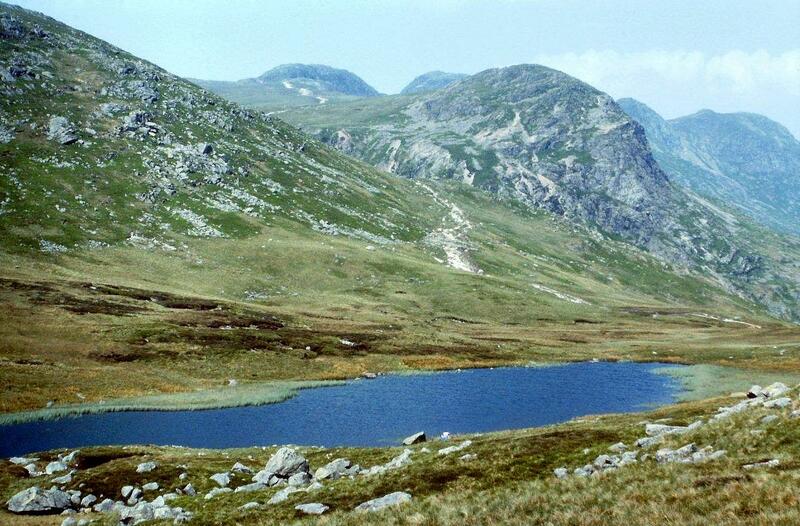 On the banks of this rock-girdled Lakeland tarn I pitch my faithful canvas André Jamet tent, with its clattering iron poles, and cook dinner – or tea, as we innocent Northern folk are accustomed to calling our frugal evening meal. On the menu tonight is Vesta Beef Curry with extra currants, boiled vigorously on a bright blue Campingaz stove that topples over if not positioned securely. Dinner is a balancing act. But so is life. Vesta Beef Curry, eh? Sophistication in a box. Us Lancashire lads know how to live life to the full. Campers aren’t condemned to the old staple of baked beans and blackened sausages these days. We’re living in a changing world. Horizons are rolling back. We use our imagination. Extra currants from my grandmother’s kitchen cabinet. Nice touch, or what? The sun sinks behind High Street and the air cools dramatically. I push my feet into the Blacks of Greenock sleeping bag I purchased in Ambleside following a £25 win on the Premium Bonds, only to discover that the fluffy down filling – like the birds which provided it – has migrated to places unknown. It’s going to be a cold night. DAY TWO: Some people argue that politics and the great outdoors should never be allowed to mix. Generally, they are the same people who believe that bank holidays are showered upon us by benevolent industrialists whose dark hearts are occasionally gladdened by the site of grateful workers streaming from the mills and mines of England to indulge in a spot of morris dancing and traditional though vaguely embarrassing fertility rites. But last year, and the year before that and the year before that, the May Day Bank Holiday did not exist. May Day Bank Holiday has its roots very firmly embedded in 1978, not some misty bygone era of St George and the Dragon, green men, and fol-de-dol-day-o with silver bells. 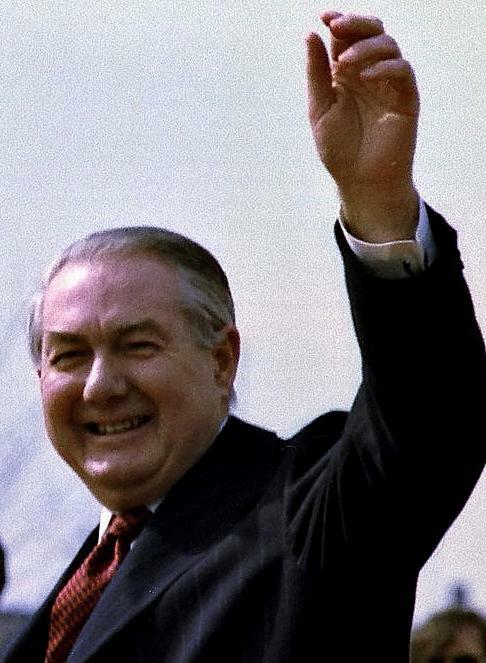 Prime Minister James Callaghan bestowed it upon the nation in recognition of International Workers’ Day. Yes he damned well did. And that is why, comrades, I am able to embark on my second back-packing trip of the month – the first during May Day Bank Holiday and this second during Spring Bank Holiday. Good old Uncle Jim. He’ll get my vote next year. But so would a monkey if it sported a red rosette. Bacon and eggs for breakfast, washed down with Co-op 99 tea and a spoon of Marvel. I make a tidy job of cleaning the lard from the billycan with a fistful of coarse grass and warm water, pack my gear, and prepare to clamber back up Riggindale Crag to regain my path across the summit of High Street. I’m in good spirits. Had my legs not been as stiff as maypoles I would have marched to the top singing The Internationale. But I struggle up at an unusually erratic pace and limping slightly. Still, this is all character-building stuff for a carefree young chap like me. The air is hot and still on the summit of High Street. Another hard day lies before me. I plod over Thornthwaite Crag and Stony Cove Pike, then cut down the curiously-named John Bell’s Banner to the top of Kirkstone Pass before following a pleasant path down into Ambleside. My legs are more than amply sunburnt by this time and beginning to feel uncomfortable. They have acquired that pinkish sheen which only English legs acquire. After a quick pint in the Golden Rule I slog, somewhat half-heartedly, over Loughrigg Fell to the village of Chapel Stile, and then, beneath a blazing afternoon sun, limp along Langdale to the campsite opposite the Old Dungeon Ghyll Hotel. I’m feeling pretty exhausted. Even the prospect of a billycan of Batchelors Savoury Rice with little red and green cubes of exotic vegetable fails to raise much enthusiasm. I don’t even possess sufficient energy to get angry over William Wordsworth’s spelling of the Norse word “gill”, which he shamelessly corrupted to make his poems appear more ethereal, unwittingly dooming generations of cartographers to chose between the popular and the authentic. Dungeon “Ghyll”, I ask you. The man was a vandal. However, this blatant assault on our Lakeland heritage doesn’t stop me sauntering in for a pint of ale. Or should that be a pynte of ayle? DAY THREE: I awake early with a sore head. The sun’s heat is already penetrating the bright orange flysheet, making the Blacks of Greenock sleeping bag uncharacteristically warm. More bacon and eggs for breakfast. More Co-op 99 tea. Another fistful of grass and warm water to transform a greasy billycan into the polished shield of Perseus. I’m ready for the toughest challenge yet. I wander blithely along pastoral Langdale before forsaking the pleasant fields of the valley bottom – where sheep bleat and cuckoos call – for the steep and sweaty haul to Red Tarn. This gets the leg muscles burning. 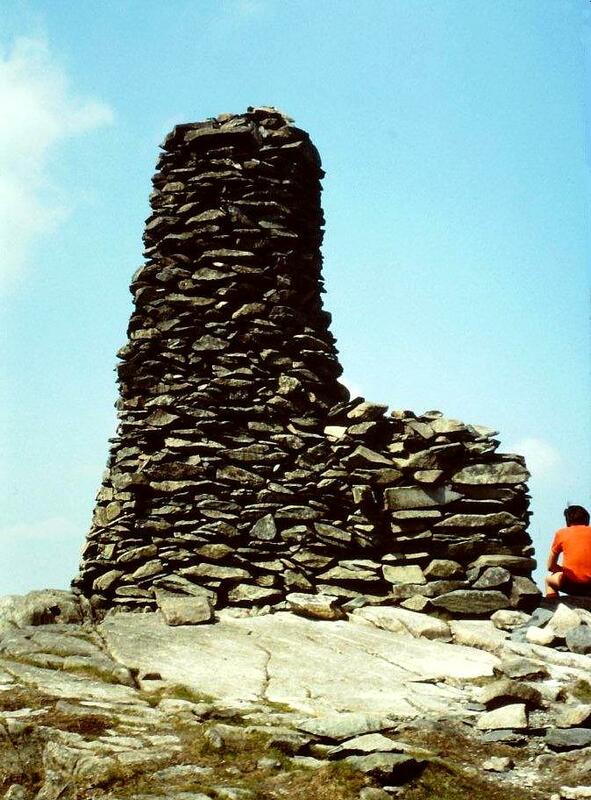 After a short descent I reach the Three Shire Stone on the top or Wrynose Pass, then follow the road to Cockley Beck and climb all the way – on melting tarmac – to the crown of neighbouring Hardknott Pass. This is hard and thirsty work. I croak an appreciative reply as he punches two triangular holes in the can with a silver tool he takes from his pocket. And oh, that ice cold liquid. Never has shandy tasted so good. Never has shandy been more gratefully received. Heartened by this act of humanity I march down into Eskdale with an unburdened spirit and rekindled energy. I follow cool paths beneath leafy woodland and pass deep dark pools in rippling streams. And as afternoon fades into early evening I reach Ravenglass and the Pennington Arms. The quest is over. Time for a pint or two before catching the last train back to Askam. I have my dreams, my memories, and a chance to reflect on a wealth of experiences. But better ring home first and tell them to get the chip pan on. I’ve had enough exotic food for one week. 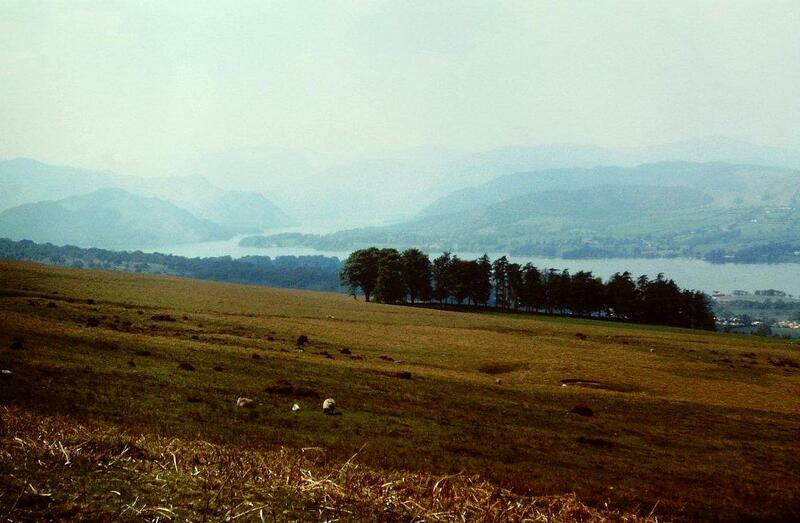 Walking from Penrith to Ravenglass, late May 1978. 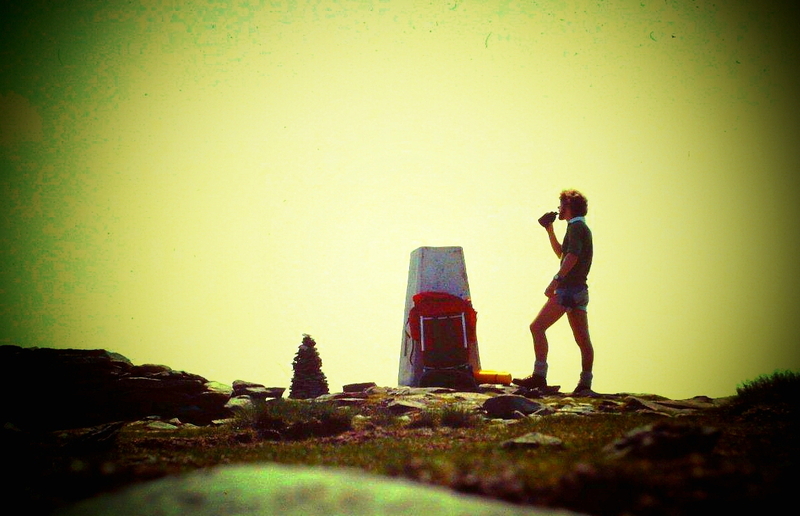 This entry was posted in Beer, Camping, Climbing, English language, Environment, Food, Hiking, History, Life, Mountains, Politics, Ranting, The Romans, Traditions, Walking, Weather, William Wordsworth and tagged Cumbria, Lake District, Mining History, outdoors, The Lakes, WPLongform. Bookmark the permalink. I’ll have to come back to this and read it again properly. I couldn’t concentrate reading it. It had me distracted and almost in tears with nostalgia. 1978. Graduation year for me. 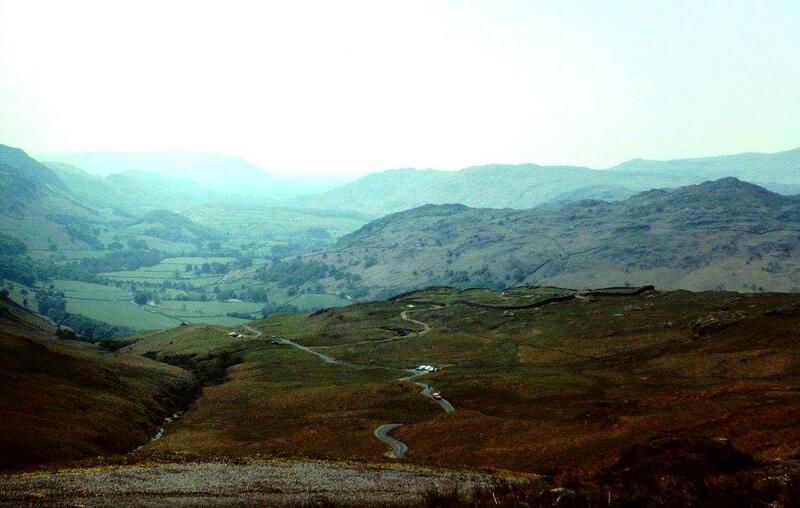 I was in the Lakes as often as possible as soon as term finished. 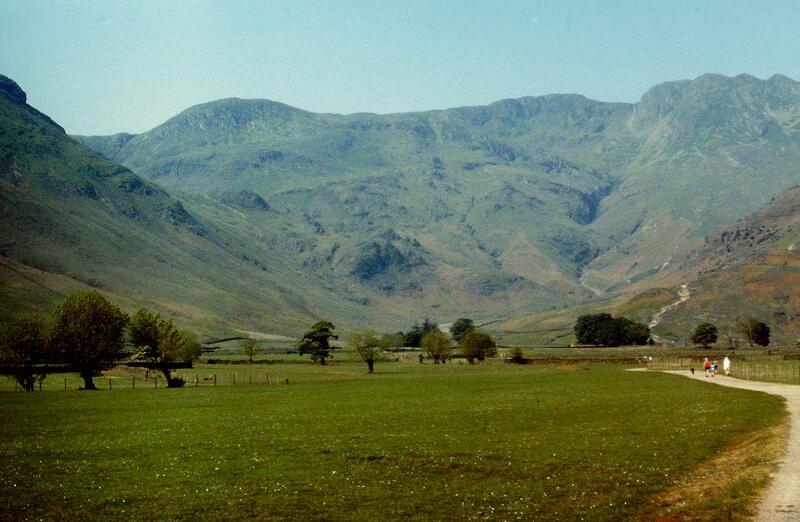 I used to hitch up to the NT Camp site at the ODG in Langdale. I wore identical cut down denim shorts to yours. I had the yellow Karrimat too (didn’t everyone). The orange Vango Force 10. Vesta curries. The ridiculously heavy and bulky Camping Gaz stove, with the non-removable cartridges that burned so slowly for the last hour or so before they were empty. I even suspect your framed rucksack was a Karrimor K2. And I was in the middle of an intense love affair with those hills. Thank you for your post. It has reminded me of what it was to be young. Hi David. Thanks for that wonderful comment, especially the bit about the shorts because when I dug those pictures out I was horrified to see them. Yes, those Gaz cartridges were fine to start off with but when they began to get low they took forever to boil a cup of tea. And in cold weather they were next to useless because the butane refused to come out of the can. And I’ve still got that yellow Karimat. I use it whenever I need to lie on the ground to repair my van. That was value for money! Thanks for that. We should start a retro fashion walkers’ blog. I’ll add FellBound to my list. What an adventure. I bet you can still feel the sun on your legs when you reminisce about it. It reads like a what’s what 1978 shopping list: Vesta Curry, 99 tea, Marvel (dried milk?) I suppose you didn’t have room in your rucksack for a Birds Super Mousse. Hey Chris, Birds Instant Whip and Angel Delight. Take me back there. And you could also buy cans of curry and rice that had the curry in one end and the rice in the other. They were great but far too heavy for back-packing. I’ve just looked up the Crimple Valley and it’s only a few miles away down the road in Harrogate. My parents made me wear Crimplene trousers at school and the scars run deep because my mates ridiculed them mercilessly, so I might have a drive down there and gloat over its demise. Crimplene: washes like a ribbon! Was that from an advert? No, don’t think so! It’s what my Mother used to say when I complained about my new long trousers! I shall look into it. I liked the white one. Didn’t care too much for the butterscotch. Another great yarn! You’ve got me singing now: those were the days my friend…….hang on…..that was a woman singing…….anyway that’s the tune came into my head whilst reading this! Ah, lovely Mary Hopkin! Those were indeed the days; late 60’s innocence! And can you believe it that song was originally from a Russian folksong! (Am I getting paranoid now? Russian folksongs, red rosettes, reds under the bed?) HA ha. When’s that book coming out? Hi Ash. Mary Hopkin. I hadn’t heard of her for years so I’ve just looked her up (on Wikipedia, as opposed to calling round for a cup of tea) and see she’s still making CDs. That was a huge hit at the time, and it’s a shame she didn’t follow it up with something as good. I’ve been thinking about publishing a book on Amazon/Kindle. It’s just a matter of sitting down and getting it organised. If it ever comes off then it will be launched on this site. Sorry! I seem to have got my 60’s & 70’s mixed up! Your recollections (Days Like These) seem to be clear. Looking back those years for me are very blurred in places! Cheers! I had a similar experience only yesterday. I drove down to Selby to take pictures of the ruined abbey (clear memories of walking round the ruins about 12 years ago), only to discover it isn’t ruined at all and is a fully-functioning building. That was a bit of a shock. They must have rebuilt it. I should have said that to my wife because on the drive down we had an argument over whether it was a ruin or not. I really do enjoy your retro posts, they always set me off on a trip down memory lane. In a way I think hill food kind of highlights a persons age. I remember those vesta curry’s, the bits in it always seemed to be a bit dodgy though and I used to pick them out. In the end I tended to carry smash and mix it with tinned tuna or fried spam. We also used to use old army ration packs with the contents of course well out of date. 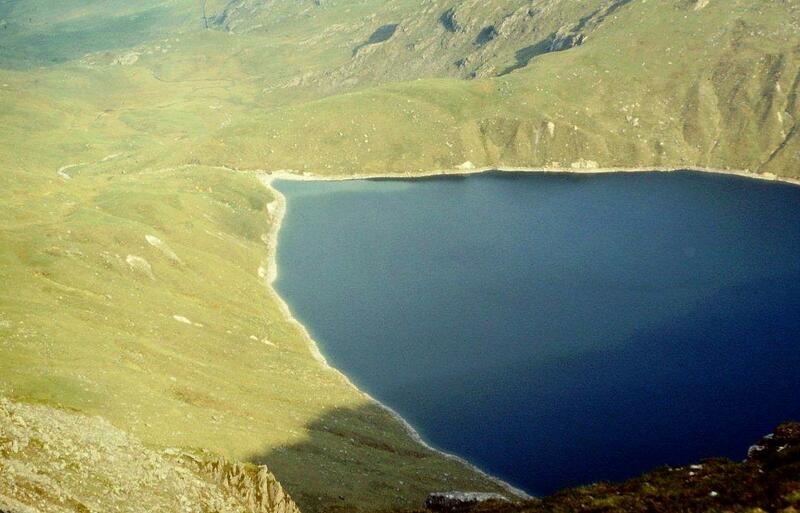 Incidentally my very first proper backpacking trip was with a lad called Andy. We did not have a stove but he said he would sort it. That night he cooked our food using his dad’s blowtorch… happy memories. SMASH! Blimey, David, I wish I’d remembered that one. Cadbury’s Smash was a favourite. Do they still make it? I remember a group of us camping on the shore at Askam as teenagers and cooking Smash in a kettle because we didn’t have anything else to cook it in, and we had to add extra water to pour it out of the spout. Very similar to your blowtorch episode! I’d have got a thick ear if I’d taken my dad’s blowtorch. And I used to love fried spam. That was a real treat. I think you must be right about highlighting a person’s age. Don’t know about actual Smash Alen, but it is possible to get similar powdered mash. Took a couple of Morrison’s mash and onion mix (you can also get cheese and mash now) to Iceland a year ago and then brought one I did not use back. Its still in our cupboard ready for the next trip. I shall look out for the Morrison’s mash and onion because that sounds nice and it will make a change from pasta – which is what I’ve been relying on for the past few years. The Smash advert is one of the iconic adverts of the 20th Century. There can’t be many that rank as being more memorable. The Chow Mein was quite good, if I remember correctly. The chilli con carne was okay for camping too. Don’t tell my wife, but I still clean my pans with a fistful of coarse grass, occasionally preceded by a bit of heather for those stubborn baked on occasions. Why we can’t do the same at home escapes me. Back around 1980 I used to backpack with a gear pocket swinging from my hipbelt. I was way ahead of the curve. Actually it was a 5 litre side pocket off a Cyclops that I roped on. It hung so low that over the summer it wore a hole in the side of my sawn-off denim shorts, rendering them patched up with gaffer tape. Also chafed my leg something rotten. 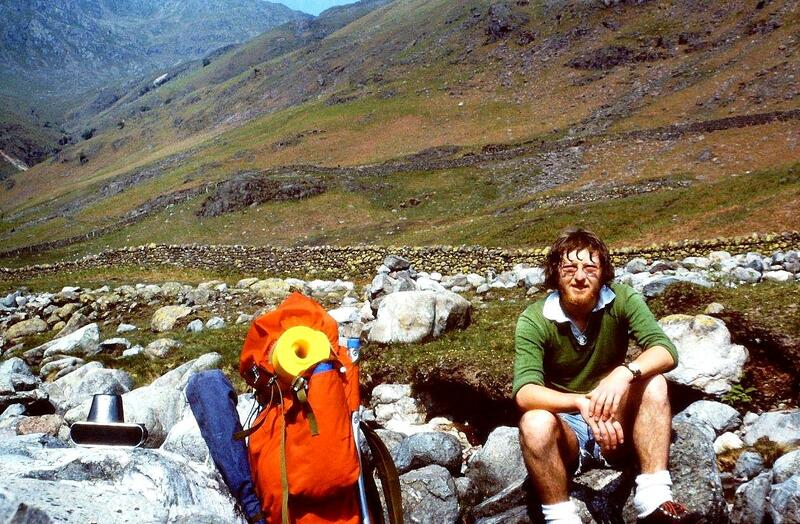 In almost every photo I have of me backpacking in my youth I’m in shorts. Think trying to emulate John Merrill had something to do with it. Really enjoying these trips down memory lane Alen. Hi JohnBoy. 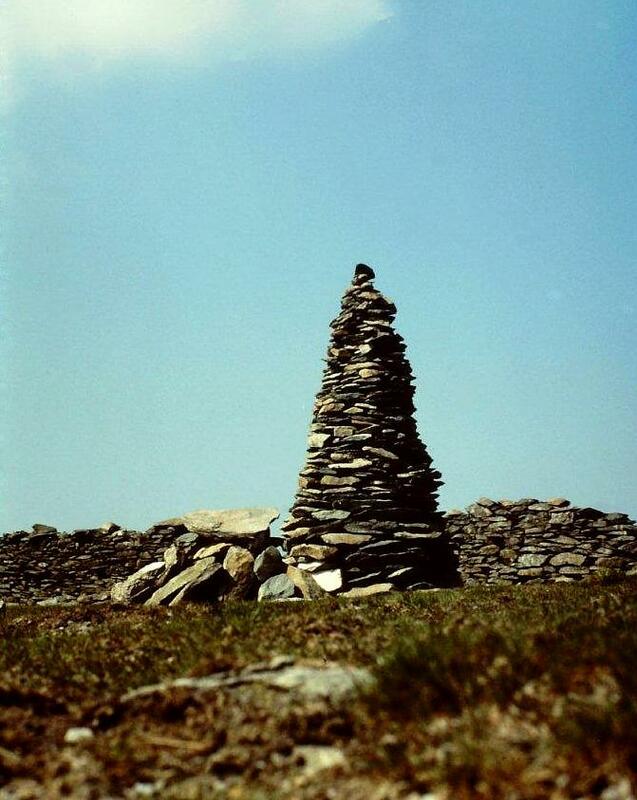 There’s a name from the past – John Merrill, the man who walked round Britain’s coastline. He was never off the telly at one point. I’ve never used heather, but it sounds like the ideal thing for getting rid of all those black bits. In these environmentally conscious times it would make sense to grow stuff like that in the garden primarily for scrubbing the roasting dish and stuff like that. I think I’ll mention it at home. I like the gaffer tape tale. We outdoor types are an inventive lot. Aye, ‘Turn Right at Lands End’. He’s still going strong, been in touch with him recently about some of his challenge walks. Those happy days when you could go for a walk thinking that life would get better for each successive generation. Why did it all go wrong? I could tell you exactly where it went wrong, John. But I expect you know the answer to that already. Shows why we should always do the passing kindness, like the shandy. I am still calling down blessings on a grubby Australian biker I met in 1975, though I’m guessing he forgot me ten minutes after his Samaritan’s deed. Funny how these little kindnesses, which seemed nothing at the time, stay with you for ever. The Pennington Arms is quite upmarked and expensive now! We still have those triangle-can-openers – we used to use them on evaporated milk (or ‘Carnation’ or ‘evap’ as we used to call it). And it’s definitely tea to eat in the evening – I think people who say ‘dinner’ are just posh! 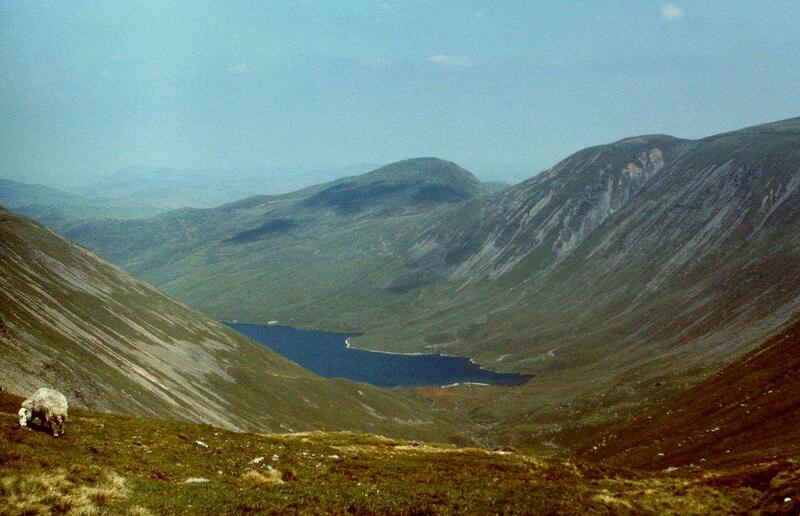 You’ve got some lovely photos there – I particularly like the one coming into Ravenglass, the Hayeswater one and I especially like the High Street one from Blea Tarn. That’s a pretty good walk. I’ve often fancied doing High Street in full (as in the Roman Road) from Windermere station to Penrith but I’m a bit confused about the best bit from the end of the High Street range to Penrith. Glad I’m not the only one who has his tea at tea time, dinner at dinner time and supper is a bag of crisps and biscuits before bed. I hate the word lunch! Lunch is one of those words that became fashionable at about the same time people started calling the parlour the lounge. Now it’s called a reception room, apparently. Hi Carol. I haven’t been in the Pennington Arms since that day so I don’t know what it’s like now. My mate and I spent a night there once after missing the last train back, but from what I remember it was pretty basic in those days. That was the year we left school, and celebrate we bought a British Rail runnaround ticket which cost about £7, lasted a week, and took you anywhere between Preston and the Borders. There are several options for the top end of the High Street range. I once did it through Lowther Park from Eamont Bridge and that was quite scenic. I’ll have another look at the maps. There’s a railway pub at Ravenglass station now which I think is supposed to be good. I’ve never been in there. I think that’s a recent addition. By recent I mean post 1978. Lovely walk Alen, and I dig the cut-down denim shorts – I was wearing them regularly until a few years ago – now my short of choice is ‘Men’s RAF tropical shorts’, you can get ’em on ebay. My backpacking food choices have changed many times over the years. When I started it was a packet of dried soup and noodles, or pasta. Due to increasing energy requirements this changed at various times, the latest bivi food of choice is a packet of giant couscous and a small tin of bacon grill, or spam, cut into chunks and warmed up in the couscous for a few mins. About 800 calories and delicious, and the small tins of meat aren’t that heavy really. I use cous-cous when I’m bothying – that and those packets of semolina. That way you get a main meal and pudding from 2 dry sachets by just adding boiling water. The cous-cous you can get now usually has other stuff added to make it more interesting, like sun-dried tomatoes or onions or suchlike so I don’t bother adding anything. I hated semolina at school, but I do believe it’s the same stuff as cous-cous, and I like that a lot. Those packets sound tasty. I should look round the shops more rather than sending Anne out with a list. I’m with you on the bait-time thing, Mike. Take your bait with your mate, is an expression that’s used quite regularly in our house, even if it’s only to confuse the grandchildren. I’ve been through the dried soup and pasta phase and emerged none the worse, but a chap can get fed up of pasta after a few days. The couscous and spam sounds very tasty and nutritional so I will definitely try it. I Googled the shorts and they look okay. All we need now is some warmer weather. Lovely walk and lovely thoughts. But if you do write that book (do! do!) can you make hard copies available for those of us who are Kindle-less (tuition on getting such things available print-on-demand via Lulu.com available on request). Hi Martin. I’ve been looking into the Amazon option of hard-copies, which are easily transferable to Kindle, so yes that’s the plan. I’ve heard about Lulu but not looked into it yet. I have a book more or less ready to publish but we’re in the process of selling our house at the moment and moving, and I want to get that out of the way before I commit myself any further. I used to run a small publishing business back in the 1980s, but the world has changed beyond recognition since them. Any guidance would be welcome. Any time, Alen. There’s a contact e-mail address on my blog under About, just drop us a line whenever you’re ready. Hi Wellycath. Hey, Life on Mars. I liked it so much I bought the box set. I wouldn’t mind Gene Hunt’s car either. Thanks for your comment and I’m glad you felt the sunlight. Fantastisk multi day hike, Alen. It’s the best thing I know to be under way for several days. l notice that the weather gods are with you so even a Shandy taste you well. Lovely description of the landscape I envy you when it comes to hiking. Travelling with trains can be an adventure. In Denmark it is nice and a little bit boring. In Norway you really have to watch your steps when you walk down through the train set because of curves and tunnels. 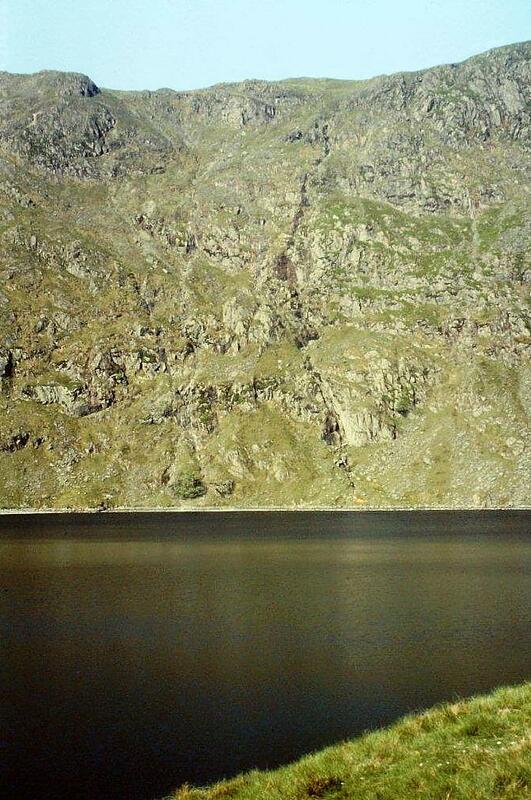 When you are on a train in Corsica you sit pinned to the window due to the beauty. Hej Hanna. Trains are a great way to get about for hiking purposes and I’ve used them for many years. The West Highland Railway is a favourite of mine and great for getting to the remote western seaboard of Scotland. I’ve also used them in the Pyrenees. Corsica sounds like an exciting place to ride on a train. I rather fancy that. I was 11. I’d sit at Sunday dinner between Dad (left wing, reasonable & righteous) and Grandad (tory, forceful & frustrating) just soaking the arguments up. I still have a copy of The Ragged-Trousered Philanthropists and hope I still know up from down. Football was EVERYTHING, and the FA Cup was Football. Mam bought me a WBA strip and told me to imagine it was Newcastle. These posts are fantastic, Alen. Keep them coming, please. Hi Steve. Your grandad sounds like my grandad – Tory, Daily Express reader, and grand master of the local freemasons lodge. Despite all that he was one of the most influential forces on my life and I miss him dearly. I like the WBA kit tale. Parents never got it right in those days. I remember asking for a T Rex LP and ending up with Vince Hill. I never did work out the logic behind that one. Steve, you came that close to being a Baggie and somehow let the chance slip by? That’s surely got to haunt you every waking moment… (Navy, by the way, our stripes; although most of the BBC pundits still seem to think we play in black and white). Alen, any recollection of what the loco on the inter-city service was? I’m guessing a 47, or maybe a 40. On the other hand, what kind of madness must possess me to even ask that question? My maternal grandfather bequeathed me my football team and my politics; neither will ever change and the only blue is in the Albion’s strip. Dave, I must admit I laughed at the inter-city loco question. I have absolutely no idea. Now if it had happened these days I would probably have taken a digi picture of it to use in the blog. But in 1978 I used Kodachrome 64 and Ektachrome 200 very sparingly indeed, to the point a 36-frame film lasted three or four fell-walking trips. But I do recall that in those days you could pull a window down and stick your head out if you were foolish enough. Naturally I did, of course. Hi Dave – yep, as you say, navy. That meant that every time I wore the thing I had to endure the petty torments of the junior school critics. Their basic model was that it was a faded Newcastle shirt (which bore out my mam’s position on the matter). I’d find myself vigorously pointing out the plain white sleeves and calling them idiots for not noticing it was actually WBA. They were all Leeds fans anyway, so they couldn’t talk. I never felt any genuine warmth about the Baggies. That may have been ruled out by the shirt issue (incidentally, I had to wear it with a pair of outsized, jumble sale bought, golden Wolverhampton Wanderers shorts. Everything I wore was from a jumble sale. I may have worn blue and white (and gold), but inside I was Gordon Hill. Vesta curries – I was at Uni in 1978 and they were a staple diet for me, as was Batchelors Savoury rice with a tin of beans. In fact would still eat that given half a chance…..
And the sunshine, too. Didn’t we have more of that in the 70s, as well? I seem to recall that the 70s were sunnier than any other decade on record, though that might be me being biased. There was the famous drought in 1976, and 1977 was a hot one as well. Summers aren’t the same these days.